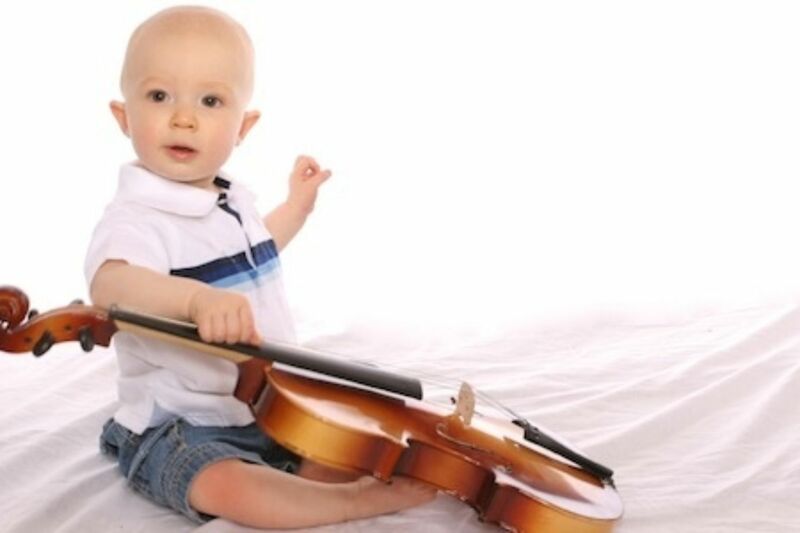 New study on prodigies reveals some startling findings. Their performances are hard to explain from a purely deliberate practice perspective. While it's true that many prodigies receive support, resources, and encouragement from parents and coaches early on, such support is typically the result of a demonstrated "rage to learn", as the prodigy expert Martha J. Morelock refers to the phenomenon. The reason why they are so driven to deliberately practice in their domain requires explaining. A new study in the journal Intelligence sheds some new light on prodigies. 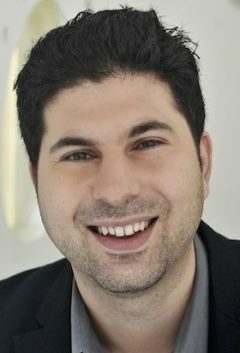 Psychologist Joanne Ruthsatz and violin virtuoso Jourdan Urbach adminstered the latest edition of the Stanford-Binet IQ test to nine prominent child prodigies who have all been featured on national and international television programs. Most of the children reached professional level performance in their domain by the age of 10, and their chosen domains were notably rule-based. There was one art prodigy, one math prodigy, four musical prodigies, one prodigy who switched from music to gastronomy and another prodigy who switched from music to art. Looking at all eight children together, the researchers found some striking patterns. The first thing they noticed is the wide spread of IQ scores- ranging from 108 to 147. Consistent with the earlier work of Feldman and Morelock, it appears that a high IQ is not necessary to be a prodigy. More telling, however, were the subtest scores. All of the prodigies showed uneven cognitive profiles. In fact, one prodigy obtained a total IQ score of 108 and a visual spatial IQ score of 71, which is worse than 97 percent of the general population. That didn't prevent him from winning a prestigious award for his jazz improvisational abilities, becoming the youngest person ever to perform with a well-known musician at one of the best know music venues in America! He also scored three films without any formal composition lessons. Again, this is consistent with prior research showing that balanced cognitive test profiles are more the exception than the rule among academically precocious students as well as students who are precocious in art and music. More striking is that every single prodigy scored off the charts in working memory -- better than 99 percent of the general population. In fact, six out of the eight prodigies scored at the 99.9th percentile! Working memory isn't solely the ability to memorize a string of digits. That's short-term memory. Instead, working memory involves the ability to hold information in memory while being able to manipulate and process other incoming information. On the Stanford-Binet IQ test, working memory is measured in both the verbal and non-verbal domains and includes tasks such as processing sentences while having to remember the last word of each sentence, and recalling the location of blocks and numbers in the correct order in which they were presented. There have been many descriptions of the phenomenal working memory of prodigies, including a historical description of Mozart that involves his superior ability to memorize musical pieces and manipulate scores in his head. Of course, the million-dollar question is this: How did all the prodigies develop such a high working memory? Anders Ericsson and Walter Kintsch proposed a mechanism called Long-Term Working Memory (LTWM) to explain how experts can store incoming information so quickly in their area of expertise. According to Ericsson and Kintsch, experts acquire their superior memory skills by gradually building up an elaborate, well-connected database of knowledge in long-term memory that is always on call. Experts then quickly link the current contents of short-term memory to this database, making the short-term memories more vivid and meaningful. Deeper memory encoding makes it much easier to access memories when they are cued at a later time. The proof in the pudding is that people can be trained to increase their memories dramatically for seemingly random bits of information by making the information meaningful. Most memory champions have spent years deliberately practicing techniques such as the method of loci to increase their memories for random strings of digits, numbers, faces, and even decks of cards. But can the deliberate practice of memory techniques explain the high working memory of prodigies? Presumably, they weren't trying to win a memory championship. Instead, they were far more interested in mastering music or art. One of the prodigies in the study reported that he sometimes pretends to not remember things since he found that people become uncomfortable with his prodigious memory. "People assume I must be thinking about them 24/7 when I am not," he noted. "It's just that I can remember every detail of the past." In their terrific book Superior Memory, Elizabeth Wilding and John Wilding present cases of superior memory performance that are not easily explained through the use of deliberate strategies. So maybe there's more to this story. Intriguingly, the work of Ruthsatz and her colleagues suggests another important piece of this puzzle may involve autism. Individuals with autism-spectrum condition (ASC) are typically characterized by social, communicative, and motor impairments. In an earlier, preliminary study, Ruthsatz found that both the first-degree families of individuals with autism and the first-degree families of prodigies in her sample displayed three out of five common traits of autism: impaired social skills, impaired ability to switch attention, and heightened attention to detail. This intrigued her, so she decided to look for autism in her current sample of prodigies. Lo and behold, while about one in every 88 children in the United States is diagnosed with autism, four out of the eight prodigies in the current study had family members who either had an autism diagnosis or had a first- or second-degree relative with an autism diagnosis. Additionally, three of the prodigies had already been diagnosed with autism, and as a group they showed higher levels of autistic traits compared with a control group consisting of people weren't prodigies (but scored only slightly higher than those with high-functioning autism, or Asperger's). 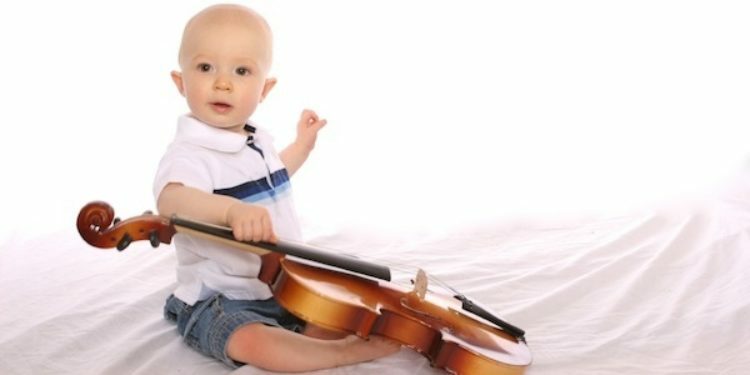 While the large majority of people with autism weren't child prodigies, these results are suggestive that there is a prevalence of autism among prodigies. One particular autistic-like trait stood out, however: attention to detail. This trait was higher among the prodigies than either the control group or those with high-functioning autism. This finding may shed some light on the rapid development of prodigies as well as their extraordinary working memory. The only other group of individuals known for their dazzling displays of memory in non-verbal, rule-based domains such art, music, and calendar calculating are prodigious savants. There are fewer than 100 known prodigious savants alive today (see here for an interview I conducted with Daniel Tammet, a well-known prodigious savant and here for an interview with Darold Treffert, the world's foremost expert on savants). The difference between savants and prodigies is that savants displays high ability in the presence of great disability. Often that disability is severe, deabilitating autism that impairs language and communication so much that it leaves an 'island of genius' (although Daniel Tammet is an interesting and rare exception, in that he has highly functional autism as well as synaesthesia). Ruthsatz and Urbach suggest that prodigies may have some sort of "modifier" that prevents them from displaying the more severe deficits seen in most savants. Both prodigies and savants demonstrate extreme attention to detail, exceptional memories, and high ability in rule-based domains. This is probably not a coincidence, as all of these characteristics are associated with talent in these domains. But how? First of all, there's no such thing as "innate talent." No one is born with fully developed traits. That's not how genes work. It is possible, however, that prodigies are born with genetic variants that relate to various tendencies, including an attentional focus on details and a brain-network wiring that supports an enhanced encoding of new memories. This could explain why prodigies and savants frequently report that they were attracted early on to domains that deal with systems, and why many also display -- even in infancy -- an enhanced ability to maintain mental representations (although there's some evidence that the working memory of prodigies is most enhanced in the symbol systems that interest them the most, such as mathematical or linguistic stimuli). After just a few years of obsessive focus, prodigies build up rich long-term memory structures that allow them to assimilate and learn new information faster and faster. This could also explain their enhanced ability to manipulate information in their heads. While it's particularly important to build these knowledge structures in youth when the brain is at its most plastic state of development, life isn't a zero-sum game. 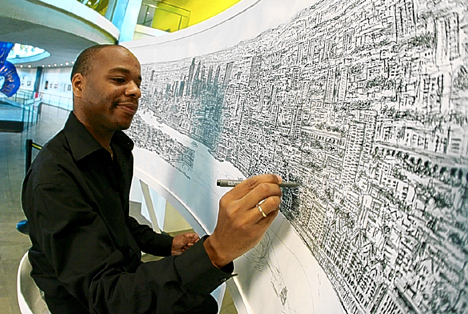 Just because prodigies exist doesn't mean life is hopeless if you weren't a prodigy. There is research showing the positive benefits of working-memory training, and there is even new tentative evidence that synesthesia can be trained. In a wide range of fields, especially ones that require leadership and creativity, the number of elite experts who weren't child prodigies far outnumber those who were. Late blooming is possible. Still, I can't help but think there's more to this story than just superior memory, attention to detail, and deliberate practice. The researchers only looked at the results of a single IQ test. There's much more to humanity. The prodigies who grow up to become the superstars of their field seem to have additional traits that make them stand out. Consider Terrence Tao, a professor of Mathematics at UCLA and winner of the Nobel Prize in mathematics-- the Fields Medal. There was something specifically about math that suited him. Terrence mastered most of the primary school math curriculum while he was still in kindergarten. At seven, he was discussing Boolean algebra and Albelian groups, and by 8 he scored 760 on the math section of the SAT. Terrence is actually the oldest in his family. His two brothers were also extremely precocious. Interestingly (and relevant to the study discussed in this article), his middle brother, Trevor, was diagnosed with autism at the age of two, but that didn't stop him from mastering multiple rule-based domains of expertise. 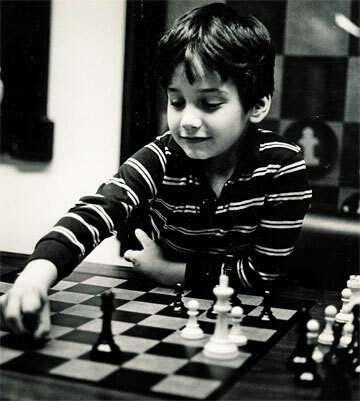 He won the Australian Junior Chess Championship at the age of 14, and multiple prizes for his classical musical compositions. He also mastered the piano, and received a diploma in mathematical sciences. But still, Trevor was missing something that Terrence seemed to possess that enabled him to climb to the top of the mathematics field. Or consider cellist Jacqueline du Pré. Every time I hear her play the Elgar cello concerto, I am moved to tears. Sure, part of her story is superior memory. When du Pré was given the Elgar concerto by her teacher when she was only 13, not only did she memorize the concerto in four days but she was described by her teacher William Pleeth as performing it "almost impeccably." But that can't be the whole story. Her performances were truly breathtaking. They were much, much more than superior memory and virtuoso skill. They were sensitive, lush, expressive, and playful. Her personality shines through in all of her performances. There appears to be a great harmony between her and the cello. I'll leave you with one of her earlier performances of the Elgar, not only as a reminder of the depth of some prodigies, but also as a reminder of what may be possible with such dedication and intensity.